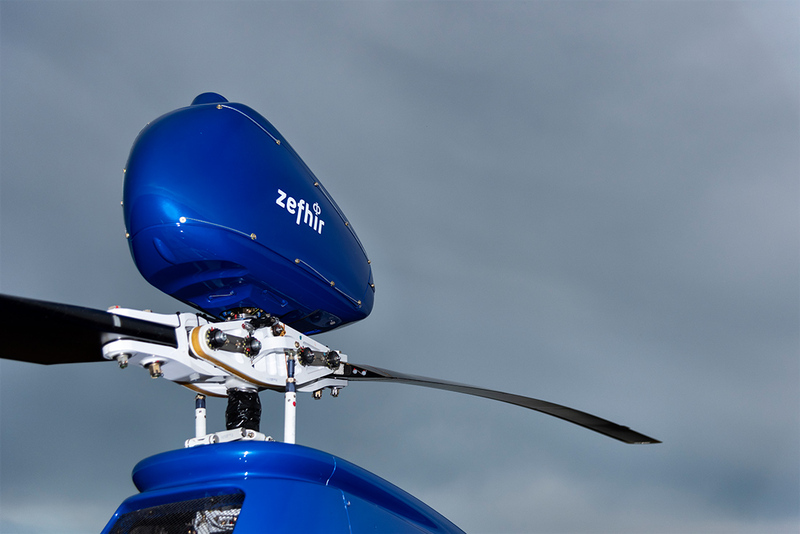 Zefhir is the only helicopter with a ballistic parachute in the world. Installed above the main rotor, the parachute is designed as a backup for conditions where autorotation cannot be performed. 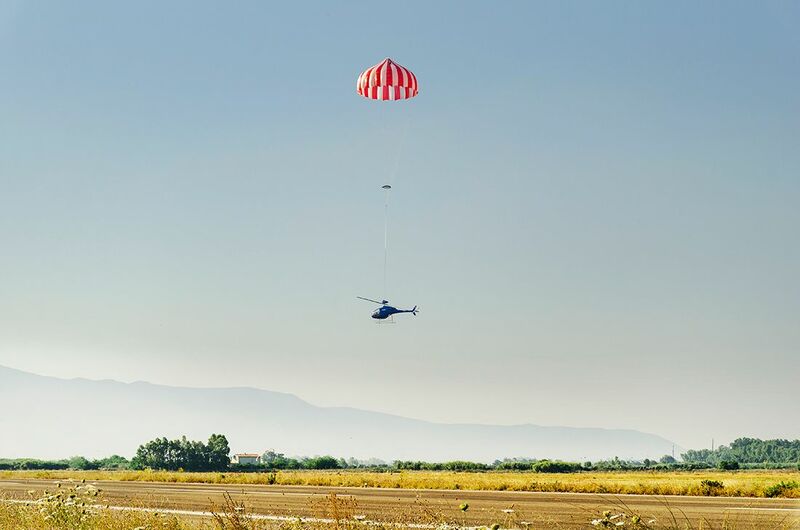 The landmark test has validated the use of ballistic parachute safety systems in helicopters for the first time. Indeed, such a test has never been filmed or documented in the entire history of aerospace technology. During the test, the helicopter reached forward flight at 30 knots above 300 meters of altitude. The engine was then deliberately turned off to simulate its failure. The helicopter’s descent speed stabilized at less than 7.5 m/s (27 km/h). The ground impact resulted in deceleration peaks well within those required for the safeguard of human life as routinely assessed in crash tests for the aeronautic and automotive industries. The test was greatly helped by dedicated research by the Aerospace Faculty of Bologna University. The project was a success also thanks to co-funding from the European Commission to the consortium between Curti, PBS Velká Bíteš from the Czech Republic and Junkers Profly from Germany.